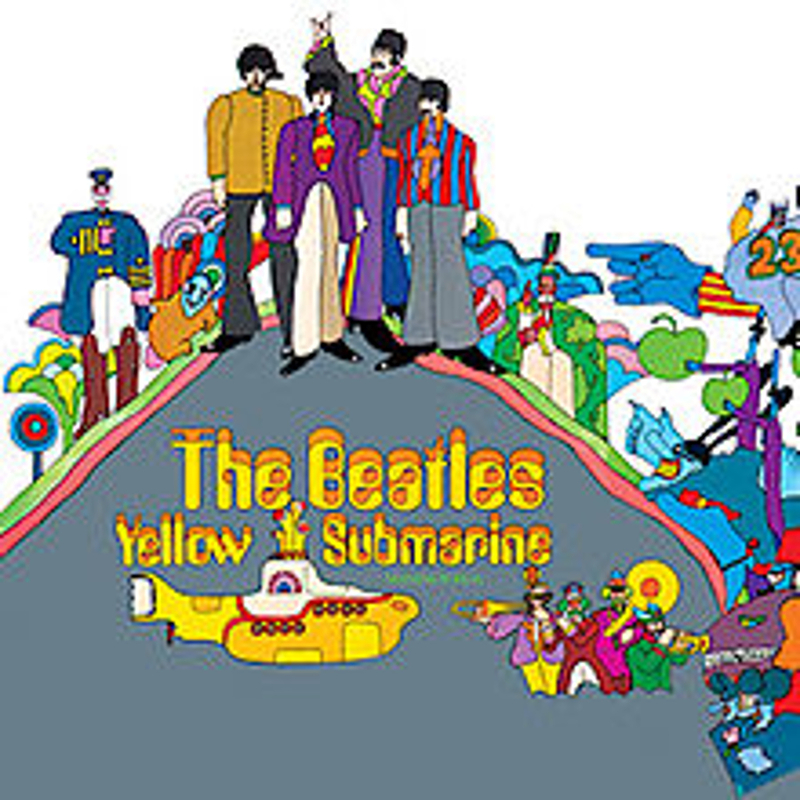 The soundtrack LP for The Beatles' animated film Yellow Submarine was released in the United States on this day, with six songs by the group and seven orchestral pieces by George Martin. There was no mono version of Yellow Submarine released. Originally, the four new Beatles songs on the album – Only A Northern Song, All Together Now, Hey Bulldog and It's All Too Much – were to have been issued as an EP. This was deemed unsuitable for the US market, however, and so the full-length album was created. Yellow Submarine peaked at number two in the US charts. It was prevented from reaching the top by the White Album, which had been issued two months previously. Sales were lower than normal, however, and The Beatles came under criticism for not giving their usual value for money. The artwork of the US and UK albums were slightly different. In the UK the words 'Nothing is real' appeared in green below the title on the cover. This was removed from the US version. The tracklisting for the US LP listed six tracks on side two: Sea Of Time and Sea Of Holes were combined into one track, listed as Medley: Sea of Time & Sea of Holes. The back cover of the UK edition featured a review of the White Album written by The Observer newspaper journalist Tony Palmer, along with introductory notes by Derek Taylor. The US version, meanwhile, contained a fictional account of Sgt Pepper's Lonely Hearts Club Band credited to Dan Davis.